The Airports Authority of India made a disturbing and yet exciting revelation last week when it reported that Zimbabwe could be losing millions of dollars through uncollected aeronautical revenue for use of its airspace. This resonated with my instalment a fortnight ago when I wrote of tourism being a low hanging fruit that could turn out to be an efficient vehicle to transform this economy. Indeed, revenue from air travel, given how often our airspace is used as flights criss-cross to their various destinations, is a low hanging fruit, never mind activity happens 38 000 or more feet above the ground. It is still low enough for the Civil Aviation Authority’s systems to capture and follow-up on payments. If pilots can have conversations with the ground staff as they enter our airspace, am sure similar discussions pertaining to the payments can also ensue. Zimbabwe definitely needs every cent it can get. Just take a stroll to any banking hall or attend meetings where industrialists are moaning about failure to import this or that machinery due to delayed payments by the central bank and you will realise that every cent counts in the literal sense. That a big hospital such as Harare Central Hospital is forced to suspend surgeries due to shortages of specialised medications tells you the story that this country needs huge and frequent doses of funds. Therefore, statements by AAI that we can harness much more from our airspace is news that should not only excite us, but ensure we move with speed to collect our dues, and we hope this can be done retrospectively too. AAI business development manager Mr Asim Kant made us to understand that while revenue was being collected from foreign airlines that land, those that did not land, but used our airspace were getting away with our millions. We hope the friendly relations been Zimbabwe and India will facilitate the instalment of the requisite data capture system sooner rather than later so we can track the funds. I am sure hundreds of airlines use our space everyday hence we could be talking about real money here. “It is not intentional, but revenue leakages are there, it is basically systematic because it is part of the international aviation system. But if you know your deficiencies you can improve on them: that is the whole concept,” said Mr Kant. The CAAZ could certainly use his company’s expertise. That this firm has also developed a comprehensive e-billing solution on data gathering, invoicing and collection is great news for this country. This solution, SKYREV360 helps airport operators to avoid revenue leakages, reducing redundancies, easy integration with external systems while curtailing debt collection periods. This is certainly music to our ears. If Zimbabwe adopts such a system, said to be compatible with all global radar systems, then we will be home and dry in terms of maximisation of revenue from this critical component of the economy. The Ministry of Tourism and Hospitality, that of Transport, and the Reserve Bank of Zimbabwe should be seized with this issue if they know what’s good for them and the economy at large. The media will certainly hold them to account. A few days ago Tourism Minister Dr Walter Mzembi challenged us to do just that. So yes sir! We are at your service! As we help put Zimbabwe in good stead as a tourist destination, we will hold you and your teams to account to ensure efficient systems are in place for this country to get the most out of this potentially lucrative sector. The story on the foreign airlines also got me thinking about the various avenues through which foreign currency is leaking. Indeed, the central bank has put in place measures to ameliorate the situation, tightening the screws periodically, but somehow certain systems and habits have not disappeared, but have been sharpened as the country continues to lose large sums of money. In this instance, the fact that bond notes have also found their way to neighbouring countries means there are still holes somewhere, which need to be plugged. Recently our digital platform BH24 carried a story that revealed that Zimbabwe could be losing at least $240 million annually to fuel fraud. It stated that the smuggling of fuel deprived Treasury of significant amounts in tax revenue. 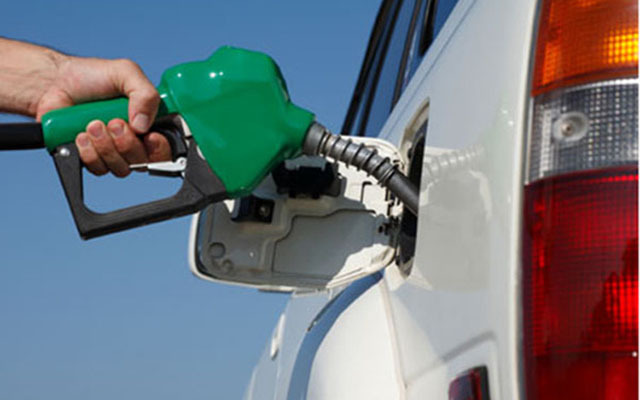 This was authenticated by global firm Authentix, which said Zimbabwe was among African countries, whose economies have been compromised by smuggling, adulteration and dilution of fuels. It also pointed out that outright theft shortchanged Government in tax revenue. About 40 percent of Zimbabwe’s fuel price is constituted by duty and taxes, hence the effects of illicit practices are dealing a heavy blow to the fiscus. Authentix said such strategies as fuel marking could help alleviate the challenges. Fuel marking will reduce grade switching and ensure the imported fuel is of the expected quality. Smuggling is also rampant in the gold sub-sector where small scale and even large scale producers allegedly understate production levels and smuggle out the bulk of their output. It is thus critical that all these loopholes are plugged so that the country earns its worth from current business activity while efforts are being made to up production. The export figures could be higher than what is recorded if the bulk of what goes outside our borders was accounted for. This is not news, but it’s about that this efforts were stepped out to plug all loopholes. Zimbabwe is still considered an economic powerhouse in this region, because it surely is, but it could yield better results and a higher standard of living for its citizenry were corruption and other such vices stemmed. This sound like a pipe-dream, but it is achievable. A mindset shift on the part of the perpetrators and a public display of what can befall any individual, or institution caught with their hand in the cookie jar could, to some extent, dissuade those that are busy destroying where others are building. Tough talk and tough action will surely send the message home and ensure Zimbabwe goes to the next level. Of course it is a tall order to expect this economy and any others to be corruption-proofed totally, but at least the vice can be significantly ameliorated through stern action and the repair of any leaks. Just imagine what this country would be like if we were to rescue at least half, or even a quarter of the billions it loses annually to graft and other illicit dealings. What kind of infrastructure would we be having, how much electricity would be at our disposable and who would be looking for a job from anyone? Such economies as South Africa and Nigeria would certainly turn green with envy.